Another review of "Tales from the underworld"
Found recently (well, was last February already!) that interesting review of that compilation of Fallada's short stories published between 1913 and 1946. We believe it worth the sharing. 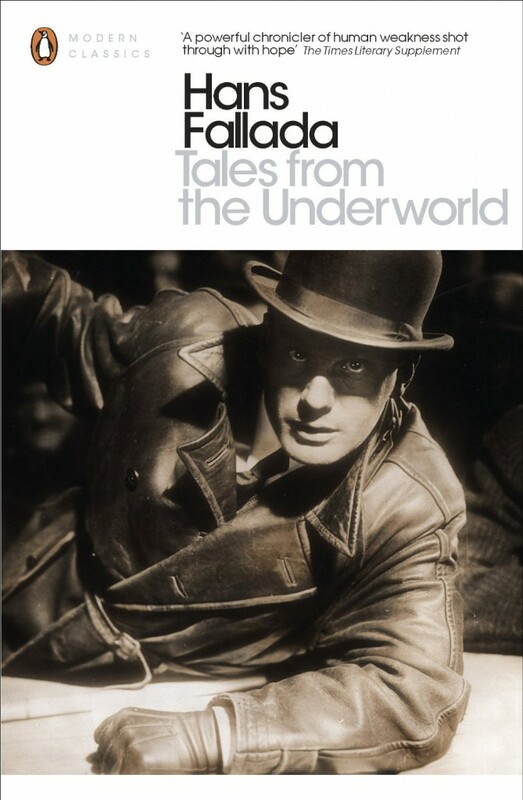 In recent years their has been a resurgence of interest in the mid-20th century German writer Hans Fallada. His novel Alone in Berlinwas an unexpected success when Penguin published a new translation in 2010. Around the same time Melville House published the novel Little Man What Now and then Penguin followed with A Small Circusin 2012. Now we have a new collection of short stories in Tales from the Underworld (…). 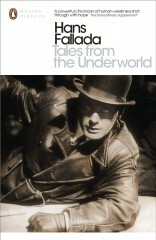 Fallada is known for his stories about ordinary people in pre-WW2 Germany. He deals with “the little people” and their concerns about jobs, money and housing. In a typical Fallade story we conventional marriages and a way of life long gone where the woman works in the fields or busies herself around the house while the husband goes off to a dull job in a shop or office and returns to become a little tyrant in his own home. The book opens with The Wedding Ring, a story set in a rural, peasant society where a group of women are digging potatoes in a field, supervised by an indolent male foreman. A newly-married woman, Martha Utesch gets home at night to find that she has lost her wedding ring during the day’s labours. The foreman of the work gang has of course seen the ring and pocketed it, with no intention returning it to its owner. Within a few pages we see the foreman’s attempt to make some money for himself resulting in horrific consequences. This is a classic short story, compact, vividly told, with a powerful yet ironic conclusion. It could have been written by any of the 19th century masters of the short story and its setting in 1920s Germany only goes to show that outside the cities, rural Europe was much the same wherever you were living. The stories were produced between 1925 and 1946, a period of his life of which he said, “everything in my life ends up in books”. This would include his period of morphine addiction (covered in the story, A Short Treatise on the Joys of Morphinism”, and his two periods of imprisonment for embezzlement (“Tales from the Underworld” and “Three Years of Life” (which contains a vivid account of the terrors of living in a prison cell infested with bed bugs!). Calendar Stories from 1946 is very interesting. Consisting of nine short morality tales it is apparently based on a tradition from the sixteenth century of short religious stories incorporated into folk calendars, one for each month. Small, thick-waisted, full of worries, he stands there, life should be perfect, he really does what he can, he is peaceable, methodical, but everything seems to go wrong. He buys a house on the instalment plan, and promptly gets two pay cuts; he is a stickler for order, and Lotte things he’s a silly pedant; they had welcomed Gerda into the family, and now nine years later Ruthie pops up and thet practically had to start over – why does life have to be so difficult? Similarly, The Lucky Beggar gives a pen-picture of what happens to a retail-supervisor when he is laid off because the shop cannot afford his salary (“It’s the times Herr Möcke . . . You understand . . . We need to tighten our belts, and your expensive supervisor’s salary . . .”). Surely times will improve and the manager of the shop will write toMöcke when another position become available. In this story we read of Möcke’s descent into superstition when a beggar comes to his door offering good luck in exchange for a few pennies. The beggar promises to spit on his door and if Möcke’s wife doesn’t wipe it off, good luck will surely come his way. Möcke is so desperate to receive his letter that he gets drawn into more elaborate scams. In his mind’s eye he sees the store again, “the clean, well-lighted place, the waxed floors, the merchandise on the shelves, the customers streaming in, he bows, he makes a sale – my isn’t life sweet!” As I read this story I was reminded of a recent feature on BBC local news about the run-down Medway Towns in Kent where addiction to high-stakes gaming machines is ruining the lives of those who can least afford it. When real-life opportunities are so hard to come then the pursuit of good luck becomes more appealing. As I read this book I was once again reminded of the charm of Fallada’s writing, and his ability to capture the plight of the aspirational poor so well. Maybe the setting is mid-20th century Germany but the situations he describes transfer equally well to the present day in any western nation. Victories won by force are not lasting. Lasting victories are only obtained by love and patience and common sense.